Explanation: This composite of images spaced some 5 to 9 days apart, from late April (bottom right) through November 5 (top left), traces the retrograde motion of ruddy-colored Mars through planet Earth's night sky. To connect the dots and dates in this 2018 Mars retrograde loop, just slide your cursor over the picture (and check out this animation). But Mars didn't actually reverse the direction of its orbit. Instead, the apparent backwards motion with respect to the background stars is a reflection of the motion of the Earth itself. Retrograde motion can be seen each time Earth overtakes and laps planets orbiting farther from the Sun, the Earth moving more rapidly through its own relatively close-in orbit. On July 27, Mars was near its favorable 2018 parihelic opposition, when Mars was closest to the Sun in its orbit while also opposite the Sun in Earth's sky. For that date, the frame used in this composite was taken during the total lunar eclipse. To early observers retrograde motion must have been a conundrum. Tycho Brahe didn't seem to have a nose for it. He did have the brass for sky observation though. What Tycho lacked nasally, he made up for brassally. 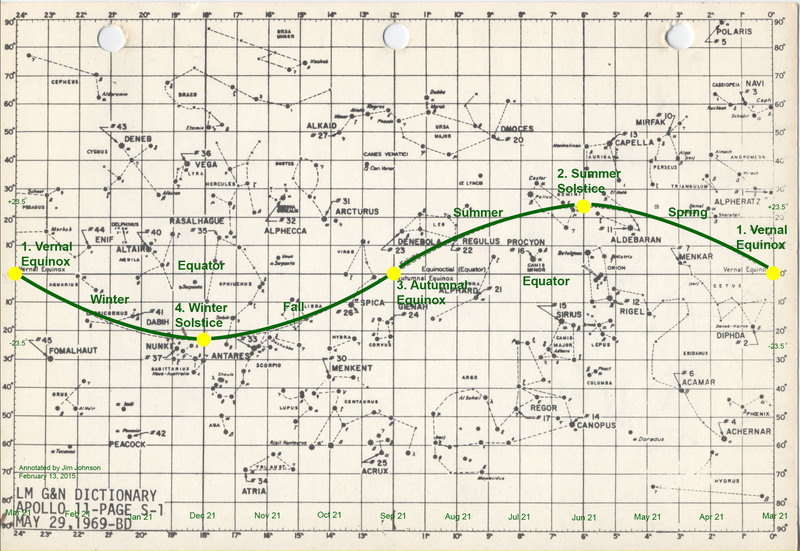 And he did have a very big mural quadrant with which to measure the Martian loop. Watch out, here's a 1.11 MB picture of it (the quadrant, not the loop). It's strange that in that pic, the images of Mars IN the loop appear significantly bigger and brighter than either side, which reinforces the illusion that it is looping to nearer the observer. Obviously an illusion, but why? Apparent slower motion in the loop? Mars really is closer to the Earth in the middle of the loop, so it is looking the brightest. In fact, this past Mars season was a very favourable one for planet observers, with the red planet coming to a perihelic opposition on 27th July and shining at mag. -2.8, its brightest since 2003. To better record the changing brightness of Mars, I used a diffusion filter in roughly 3/5 of the total exposure time of each picture, which were recorded by a digital SLR and a 50 mm lens. In late April, Mars was shining at -0.1; it got brighter until the opposition with the Earth catching up with Mars. Then it got fainter obviously, as the Earth started to pull away. The last image of Mars from November has the red planet shining at -0.5. Last edited by canopia on Thu Nov 08, 2018 7:40 pm, edited 1 time in total. I've tried to visualise the way that the Earth 'passes' Mars, which has helped me see that yes, they must be closest when Mars loops! And i didn't appreciate the timescale. To compare ancient stargazers, having little knowledge of the celestial mechanics, with modern astrophysicists, who need new ideas to solve current dilemmas, which do you think had/have better problem-solving capacities? Certainly not me who might be tempted explain today’s APOD with loop quantum gravity. Quantating intelligence, as with gravity, will surely test future humans. But without being willing to take missteps neither would or will accomplish their goals. All kidding aside, Brahe certainly did. Mars was at a perihelic opposition, not parihelic. Parhelia (AKA "sundogs") are bright patches of color seen level with the sun, caused by sunlight refracting through atmospheric ice crystals. Perihelion is the closest point to the sun on an orbit. Interesting article Mars Express Orbiter Radio Science by ESA Science (in case someone is going to explore more about Mars). Just ignited a serious discussion in the ESA Science circles and particularly in STAR Lab (Science, Telecommunications, and Radioscience Laboratory). I am two weeks late for this and so, no one might be on the lookout to answer. I understand that but would still like to pose my question which is, "Why should there be a loop around?" I can visualize a "zig-zag motion" along the line of travel of Mars - with the retrograde motion and then the further forward motion almost overlapping the main orbital path. That means, everything will be in more or less one line. However, I am having great diffiulty in visualizing the "loop", where the relative position of Mars with respect to the background stars changes in the "up-down direction". Why should that relative position change during retrograde motion and then change back again during the forward motion? Thanks very much to anyone who finds my question and then answers. "Why should there be a loop around?" I can visualize a "zig-zag motion" along the line of travel of Mars - with the retrograde motion and then the further forward motion almost overlapping the main orbital path. That means, everything will be in more or less one line. However, I am having great diffiulty in visualizing the "loop", where the relative position of Mars with respect to the background stars changes in the "up-down direction". Why should that relative position change during retrograde motion and then change back again during the forward motion? Thanks very much to anyone who finds my question and then answers. If Mars's orbital plane coincided with Earth's orbital plane (i.e., the ecliptic) Mars would indeed "zig-zag." However, Mars's orbital plane is inclined 1.850° to Earth's orbital plane such that Mars usually lies either above or below the ecliptic. When Earth passes the closest to Mars the apparent Mars north/south displacement from the ecliptic is most noticeable. Thanks very much Neufer. Very clearly explained. I did not think about the "Earth-Mars Oribital Planes" not coinciding, with that being the reason for the "loop".